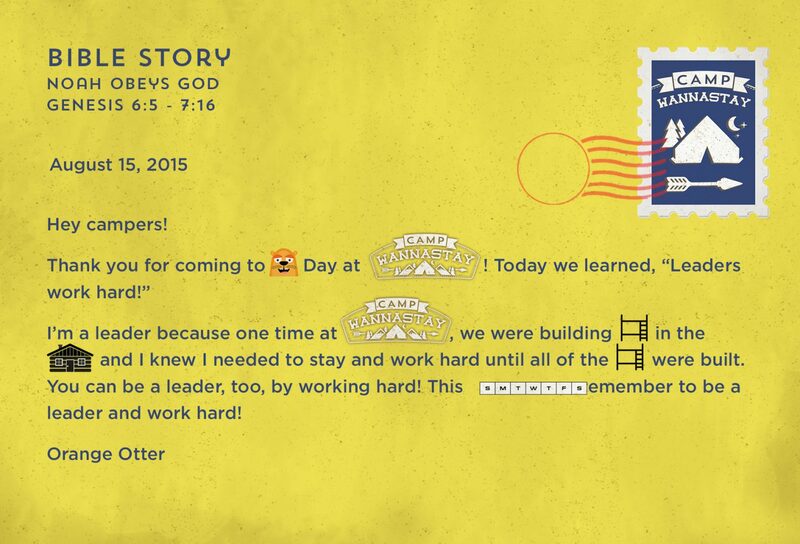 At Camp Wannastay we are learning to be leaders who work hard! This week, our friend Brownie Bear taught us about a man named Noah. God told Noah a flood was coming and for Noah to build an ark. Noah had to work hard with his family so he could build the ark and put two of each animal on it. 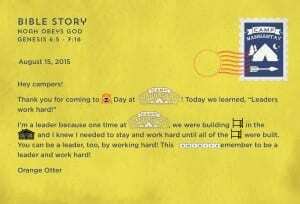 Noah was a leader who worked hard and we can be leaders like Noah, by working hard in all we do. This week, we received camp mail from our friend Green Gorilla who invited us to Green Gorilla celebration next week. He asked everyone to wear his favorite color, GREEN, so make sure to wear GREEN this next week!